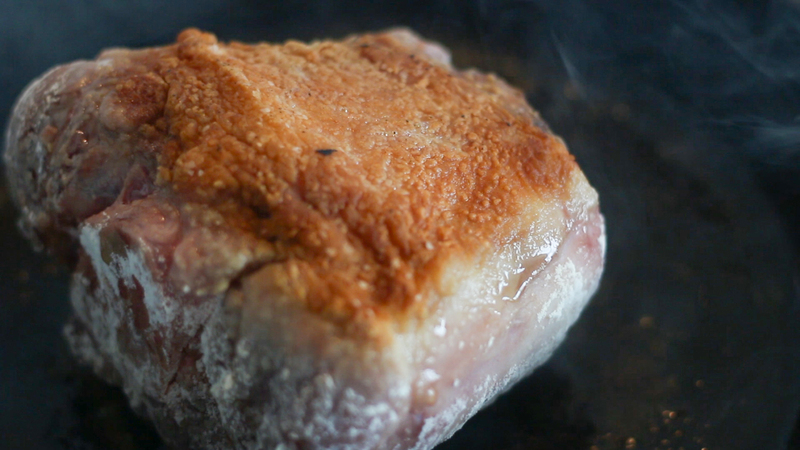 Shank is one of my favorite cuts of pork, offering perfectly tender and tasty porkiness with each bite. Due to the long cook time, and the general receptiveness of pork, it's also perfect for infusing with big, bold flavors. 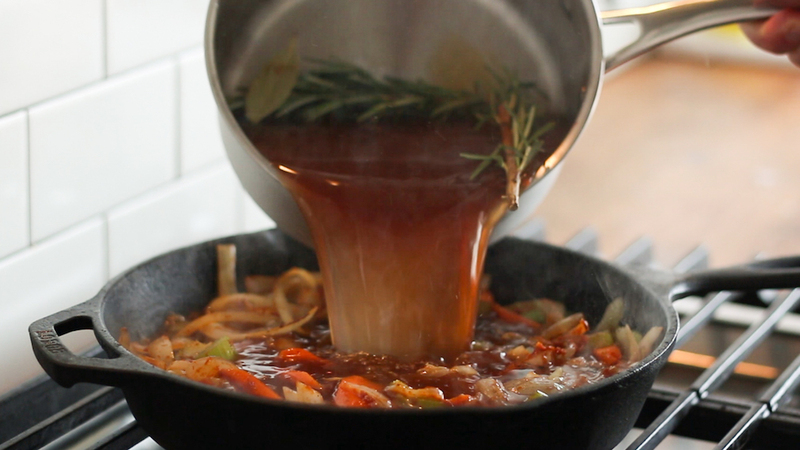 In cold months, I love braising with a richly flavored beer and aromatic herbs, like rosemary and thyme. 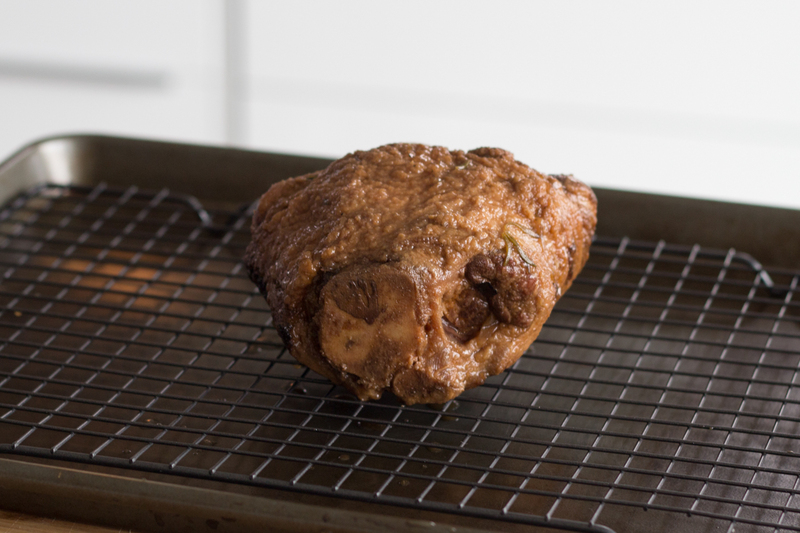 The result is wonderfully intense flavor, perfectly cooked meat, and very little active time in the kitchen. 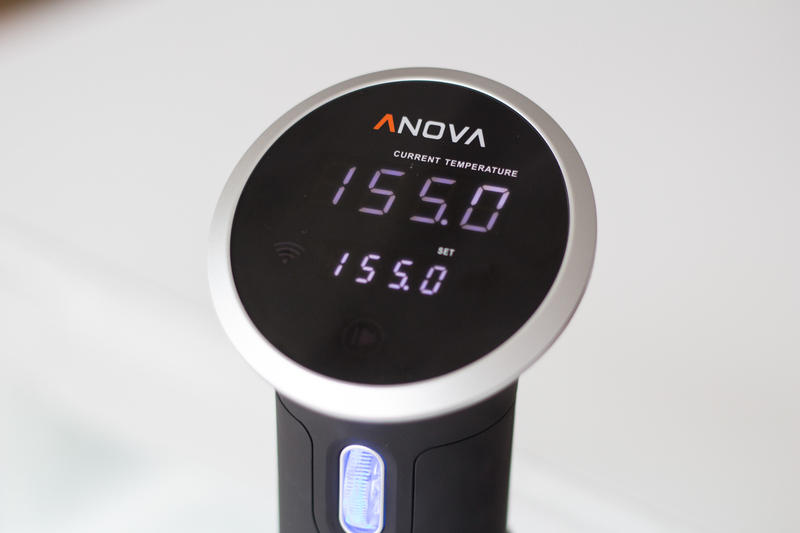 Set Anova Sous Vide Precision Cooker to 155°F (68.3°C). 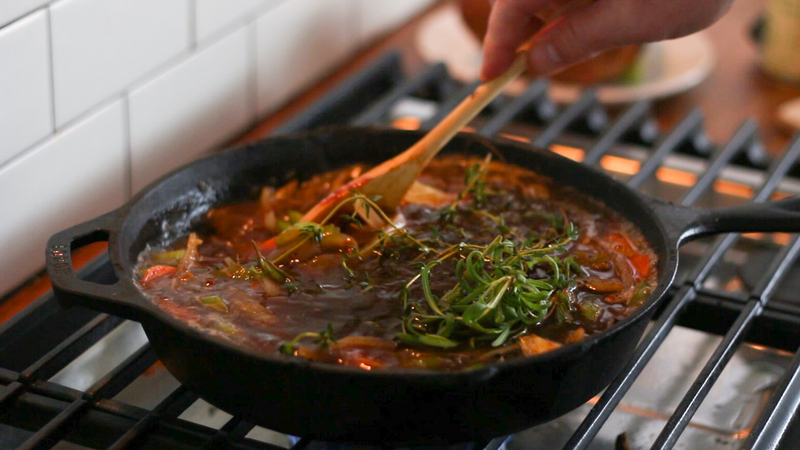 In a large cast-iron skillet, heat oil over high heat until just beginning to smoke. Season shanks generously with salt, dust with flour, and sear to golden brown on all sides. Remove shanks and set aside. Reduce heat to medium-high and add onion, garlic, carrots, and celery. Season with salt and pepper and cook for 10 minutes. Add tomato paste and cook for one minute. Add beer, soy sauce, honey, stock, thyme, rosemary, and bay leaves and cook for two minutes. 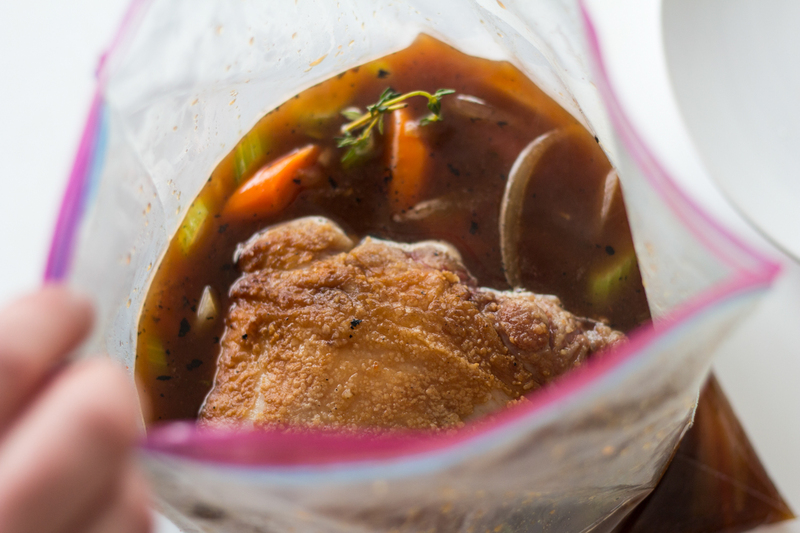 Add vegetables, sauce, and pork shanks to vacuum or Ziploc plastic bag, seal, and cook for 48 hours. 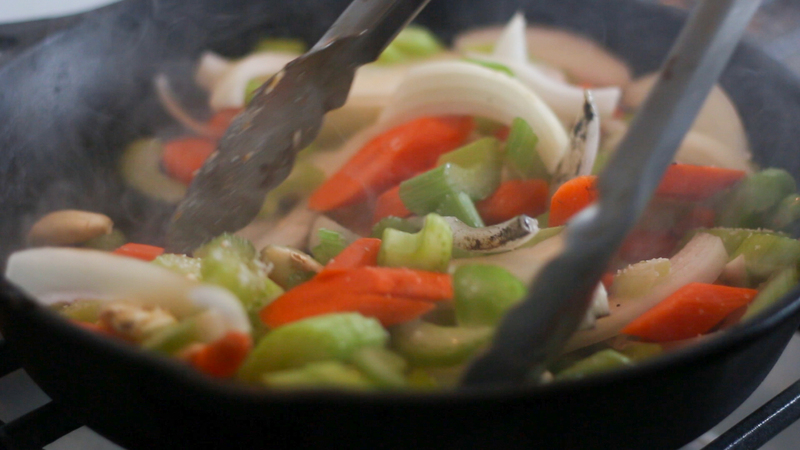 Add cooking liquid and vegetables to large saucepan and simmer over medium-high heat until vegetables are tender and sauce reduced by two-thirds, about 10 minutes. Remove shanks from oven, sauce, and serve. 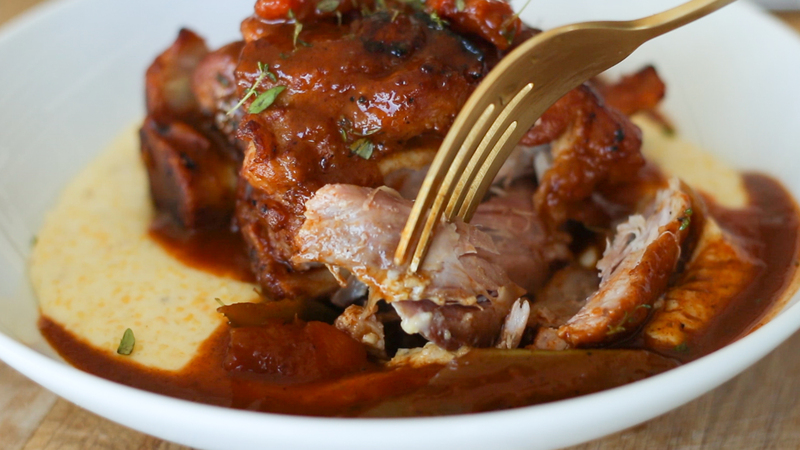 For smaller portions, pull the meat from the shank in large chunks and serve with sauce.